The first Saturday of every month is gluten free at Miss Millie's on Whiteladies Road in Clifton (Bristol)! If anyone goes, please let me know what it was like! For more details go to their Website or Twitter page. This is a hug in a dish. 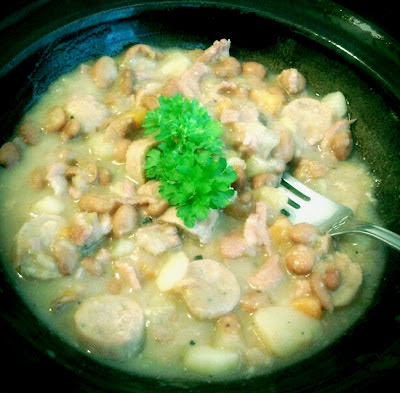 It's much simpler than most cassoulet recipes (and less expensive!) and it's wonderfully rich and filling. In a large pan, fry the onion, carrot, celery, potato and sausages for around 10 minutes in olive oil. Remove the sausages and remove their outer skin. Slice and return to the pan. Add butter, bacon and garlic and fry for a further 5 minutes. Add the beans, wine, bay leaves and season generously. Add stock cube and water. Bring to the boil and then simmer with the lid off for 1 hour. In a way, this blog just needs to say "If you like burgers, can't eat gluten and you're a bit of a spesh nerd, get thee to Atomic Burger" but I feel I should perhaps add a bit more information. Me and around 13 other foodie types met in the newly opened Atomic Burger on Gloucester Road, Bristol. They already have a very successful branch open in Oxford and word had reached us that this was an experience not to be missed. The decor is a combination of every toy you ever had as a child of the 80's and every kitsch nerd show ever broadcast - and the menu is equally flamboyant. I'm not big on nostalgia. When I'm in a pub and the conversation on 'do you remember that thing that was on with the bears and the magical face weazels?' starts, I'm all *yawn*. Rustling up your very own GF garlic bread is very simple and makes an excellent accompaniment to Michela Chiappa's wonderfully scrumptious Pappardelle with Rich Ragu. Slice the baguette every inch down the length, ensuring you don't slice right down to the bottom. Mix together fresh chopped herbs (thyme and oregano are great) and around 4 finely chopped cloves of garlic (more if you want it quite strong) with soft butter (or dairy free marge) and spread liberally between the slices. Wrap in foil and bake in a hot oven for around 20 minutes or until the bread has gone brown and crispy. This recipe makes around 8-9 fishcakes so it is excellent value for money. A good 'almost pay day' dinner! Ever had one of those moments of pure food utopia? Mine normally occur when I've just eaten my own body weight in cheese, biscuits and chutneys. We were just weighing up what to cook for the first night of our weekend away, when we found The Better Food Company food hall and deli on Whiteladies Road in Bristol. This marvellous establishment has the largest array of gluten free products I've ever seen, has a selection of gluten free cakes to takeaway or have with a drink in their cafe and it has a cheese counter! I selected a box of Nairn's gluten free oat biscuits and large hunks of Bath Blue and Manchego cheese. We also bought a jar of Quince Cheese (chutney/jam) which has become our accompaniment of choice. After stocking up on cider at Weston's in Herefordshire, (close to where we were staying) we settled in for an evening of pure gluttony. Lovely, crispy, tangy, salty goodness in a bag. Like Mini Cheddars of childhood, but better. 100% gluten free. Available as a multipack, even better. The ultimate gluten free snack (until the Cheese & Onion ones come out) AND only 90 calories a bag. Available from Tesco. Go get some and then I challenge you not to polish off the whole multipack in a day. Gluten Free Coffee and Walnut cake - oh yes! A lovely, surprise find on a fab street tucked behind Whiteladies road. Charity shops, top independent bars and restaurants and gluten free cake, what more do you need? Don't you just love it when you stumble upon such a place?! This and many more GF cakes are available at Chickpea Cafe, Cotham Hill, Bristol. Not far from here, in Wiltshire, lies a small team producing high quality gluten free products. 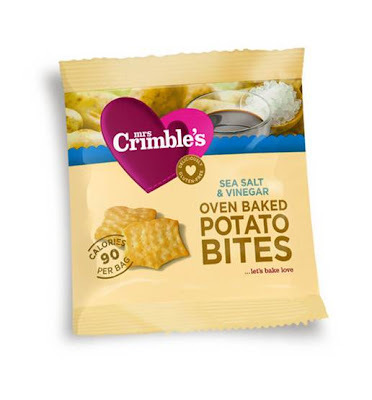 They won an award at this year's Free From Food Awards for their Chicken Bites in the Food Service category and now a retail range is also available. Red House Foods was started by a husband and wife, who's daughter is both autistic and gluten intolerant. They are passionate about what they do and their passion translates to their products. Care is taken during production, and ingredients are sourced responsibly. I was sent their 'Georgia's Choice' chicken burgers and bites to try and I was very impressed. It's been many years since I've had either, and pre-diagnosis, a chicken burger with mayo was one of my favourite things. We ate both with a salad and chips and they were just great. Just the right amount of crispy breadcrumbs covering good quality chicken and really tasty. IBS is the fear of being offered a seat on the tube. I've been working on some recipes recently but I'm not ready to share. I will instead tease you with photos of the results. Both cakes pictured are gluten, dairy and egg free. I rarely buy anything sweet as most gluten free cakes and biscuits on the market contain eggs and milk. And a gluten free, milk free and egg free dessert in a restaurant is as rare as a talking unicorn. So, I decided to make my own. And it's been a challenge. I want to get these recipes 100% right. I want to create a range of GF and vegan friendly foods that are as good as the 'real' thing. Until then, I'll keep experimenting (and getting fat!). Check back for updates on my progress!